We help with developing, implementing and monitoring quality frameworks and customer care standards to help you win contracts, investment and grants. You can then be confident that you then deliver on these contracts and awards. In an increasingly competitive environment, community based organisations must be able to demonstrate to commissioners, investors and funders that they are competent, credible and committed to learning and improvement. Building Assets will help you to develop and implement a Quality Assurance Framework that will provide the evidence required. We can bring in industry experts to test your systems, e.g. through mystery shoppers. Building Assets will help you with the development, implementation and assessment of quality standards, drawing on our understanding of the requirements of commissioners and investors. 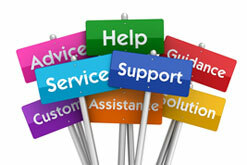 A key element of a quality initiative is setting customer service standards. Formal service standards help clarify expectations of customers and staff, and form the foundation for training employees. Building Assets will help you with the development, implementation and assessment of service standards, and can offer training, especially for front-line staff and for those responsible for developing or improving customer service standards in your organisation. Good record keeping is essential in monitoring your quality standards and producing the evidence needed to win and deliver contracts successfully. Your records contain your organisation’s decisions, processes, legal arrangements and financial transactions. If they are badly organised you can expect poor performance, loss of grants, fines for late payments or even being arraigned for breaches in data protection. BuildingAssets can review the way you look after your records and the information you hold, and help you to take decisions about what to keep and how to improve the management of records in paper or electronic form. We can support you through the process of gaining an externally accredited quality standard. We can help you to be ready for contracting, investment and fundraising.